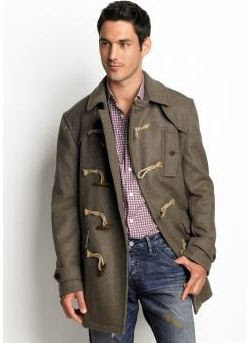 I think that the following coat is a great selection, for professional, business savvy or just down right debonair men. It will bring out the navy, in you, trust me. It is composed from wool and nylon and the four toggle closure makes it a home run! 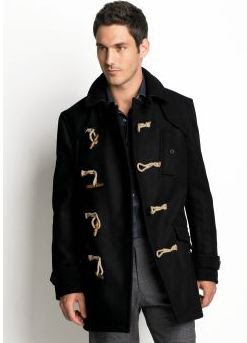 It is available in sizes XS - XXL and Big and Tall and in colors camel and black. The cost is near the $350 range, if you would like to order it, have more questions about the product, or may even like to find a more recession proof priced version, email, The Notable Styles & More Stylist, Via Gmail.